At night I dream of colour. Some dreams I dream in colour. My colour dreams I REMEMBER. We were invited to respond to the idea of AMBER, the concept behind and muse of this year’s Arnhem Mode Biennale, defined by artistic director JOFF as a “fleeting phenomenon, whose personality is omnipresent in our society and whose influence we can barely escape”. We have taken a library of footage of monochromatic dress drawn from over a hundred films covering a huge variety of forms and genres. We have built a monumental 12-channel colour-classified installation in the exhibition space of Arnhem Mode Biennale. Award-winning musician Daniel Pemberton responded to our brief to create a new sound piece that accompanies the installation. 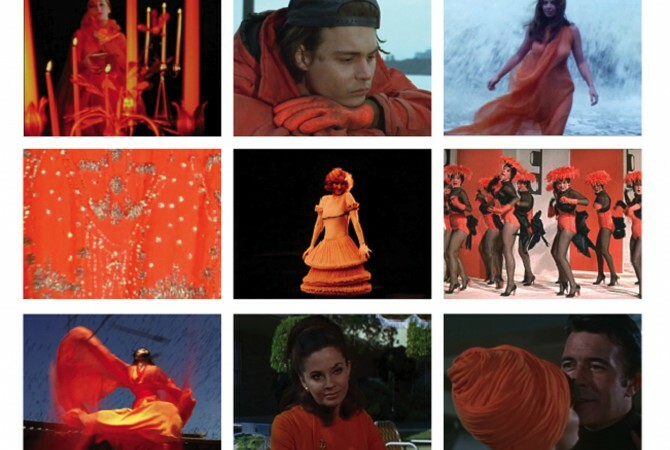 The Fashion-Colour-Cinema Inventory installation is an exercise in butchering and processing cinema in order to propose a scenario where fashion and colour emerge as the champions. The inventory deliberately suspends those concerns that should be central to any consideration of colour in cinema: the broad spectrum of colour technologies and processes used throughout its history, the various functions colour has performed and how this relates to discourses of spectacle and realism in particular. Instead, it brings all colour cinema together and classifies it following a much more trivial rule: it extracts—and abstracts—from a broad range of cinematic genres those shots and short sequences which display monochromatic dress as a substantial part of the visual field, and re-constitutes these fragments in new, chromatic categories. Among the most poignant reflections on colour are those of the visionary artist and filmmaker Derek Jarman whose interest in colour as autonomous culminated with the release of his film Blue just before his death in 1993. As he was turning blind due to AIDS-related problems, Jarman embraced the glow of the projected colour film transparency as a meditative and spiritual medium. It is perhaps absurd, then, that we are testing Jarman’s approach rooted in visual art and avant-garde cinema against material that occupies the opposite end of the cultural spectrum—that of fashion—associated with the economy of the commodity spectacle and distraction. 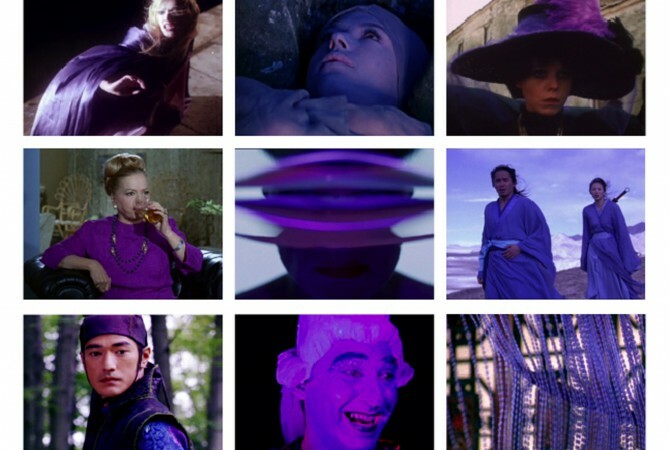 In contrast to Jarman’s quest for “pure” and immaterial chromatic effect, the effects of fashion-colour-cinema we arrive at are still decidedly representational and “impure”. They do, nevertheless, have a charge and poetry of their own. At the risk of committing the crime of what Peter Wollen so brilliantly identified as the fashion and trends industries’ “spectacularisation of the monochrome canon” (think trend forecasting palettes), we argue this installation has a different sort of significance. Not only has the act of isolating and re-ordering “fashion moments” from a broad range of films been a fascinating process, it has also proved to be an act of magnification that messes with the film canon’s syntax and its implicit hierarchies. Where both colour and fashion have typically been perceived as an added bonus, a feminine element of coating, we wanted to present one possible experience of cinema where these “agents of the surface” were made to play a vital role and possibly even acquire a new kind of monumentality. Such an ordering of film fragments illuminates unexpected cinematic conventions in the use of dress and colour and the micro-narratives within which they truly perform. Daniel Pemberton is an Ivor Novello-winning and multi-BAFTA nominated composer and sound designer. 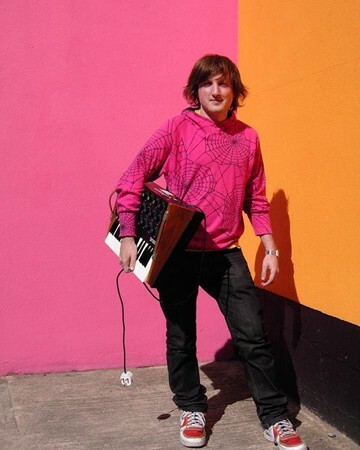 As well as creating audio projects for fashion designers such as Erdem, Boudicca, Vivienne Westwood and Eley Kishimoto, and artists such as Gillian Wearing, Saskia Olde Wolbers and Goshka Macuga, he is one of the most prolific composers in the UK. He has written music for everything from bestselling videogames to cult comedy shows, acclaimed TV dramas and series to BAFTA and Emmy award-winning documentaries. Fashion in Film Director and Curator Marketa Uhlirova joins experts from the fashion world to delve into the themes of the 2011 Arnhem Mode Biennale.